Larek Point Consulting in the news. 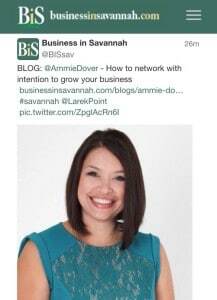 Featured in a Business in Savannah article about the Small Business Chamber of Savannah unveiling new brand and logo. In this photo, Ammie Dover attended the organization’s annual holiday breakfast on Tuesday. They sponsored a raffle to support Union Mission the group in addition to introducing the new logo.